At, Siya Infotech Solutions we offer mobile app development services that ensure that helps you to reach your niche market to increase sales and enhance growth of your business. Our enthusiastic mobile app developers have 8+ years of knowledge to accomplish your specific demands as well as your business needs. With advanced tools and technology, our mobile app developers create most advanced mobile apps for the enterprises. Moreover, our past work is the showcase of our brilliance for providing mobile application development services. We use an agile development methodology to deliver best mobile app development services for you. For that, we use highly flexible engagement model that begins with a comprehensive evaluation of your business and mobile app development requirements to ensure that you get mobile app development solutions that quickly and cost-effectively meet your goals and deadlines. 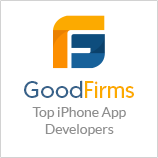 We build elegant and appealing iPhone applications that will make your business profitable and performance oriented. Our professional mobile app developer’s design and develop attractive and easy-to-use mobile apps. In order to make your iPad apps high-yielding, our expert developers deliver superior quality iOS App development services. We will make your iPad app idea into a reality by developing highly efficient and completely bug-free iPad apps. We design and develop all kinds of Android Apps for smartphones and tablets. Our passionate Android App development professionals develop quality mobile apps for you using latest mobile app development technologies.